Williams Racing has revealed its title sponsor and new livery ahead of the 2019 Formula 1 season. "We spent quite a lot of time on this livery", explained Williams deputy team principal Claire Williams. The new livery has a tinge of blue in it and fans have a divided opinion on it. ROKiT is a telecommunications company. The team has a new sponsor for 2019, and Claire Williams said that was the flawless opportunity for a new livery. "We share many similar values and aspirations with ROKiT; primarily putting engineering and innovation at the core of everything we do in our pursuit to be the best - the flawless platform from which to start a partnership". 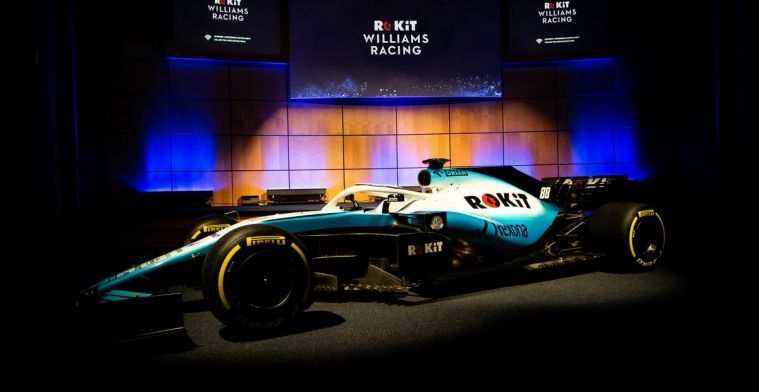 ROKiT, which specialises in mobile phone and Wi-Fi technology, is due to launch in the United States of America and U.K.in March this year and has signed a "multi-year" deal with Williams in the hope its affiliation with the F1 team will boost awareness of its products. In addition to naming rights of the team, ROKiT branding will adorn the new Williams Mercedes FW42 race auto, as well as feature prominently on the race suits and helmets of Williams' two drivers and all trackside personnel. "Taking that path together will make us both stronger in our endeavours and so I can't wait to get started", she added. Robert Kubica with teammate George Russell during the Williams Racing Livery Unveil. With them we can bring F1 to audiences in new and pioneering ways. Williams 2019 F1 livery launch Williams 2019 F1 livery launch Williams 2019 F1 livery launch Williams 2019 F1 livery launch Williams 2019 F1 livery launch Williams 2019 F1 livery launch Williams 2019 F1 livery launch Williams 2019 F1 livery launch Williams 2019 F1 livery launch Williams 2019 livery on 2018 F1 vehicle Williams 2019 livery on 2018 F1 auto Williams 2019 livery on 2018 F1 auto Williams 2019 F1 livery launch (L to R): Robert Kubica (POL) Williams Racing and team mate George Russell (GBR) Williams Racing with the media.